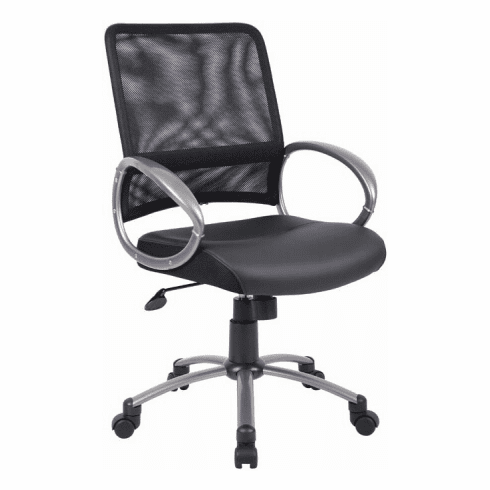 Slick and contemporary Boss task chair with a black LeatherPlus seat (treated with polyurethane for softness and durability) and breathable mesh back with lower back support. The seat has a gas lift and the chair features a tilt tension control for maximum versatility. Loop arms give the chair a modern style while providing added comfort.